If you’re in need of a new boiler system or boiler equipment, we’ve got you covered. Wisco Supply, Inc. is a premier boiler supplier in the southwest. With locations in El Paso, Texas, and Albuquerque, New Mexico, we help businesses throughout West Texas, northern Mexico, and New Mexico. When you’re in need of a new boiler for your current system, we’re the place to call. We carry a wide variety of boilers. We understand that different types and sizes of businesses have different needs for the kind of system they have installed. We carry boilers from some of the best companies in the industry. That way, no matter the kind you need or the type you get, you can rest assured knowing you are getting a reliable and efficient product. Our products and services are designed for both residential and commercial customers alike. 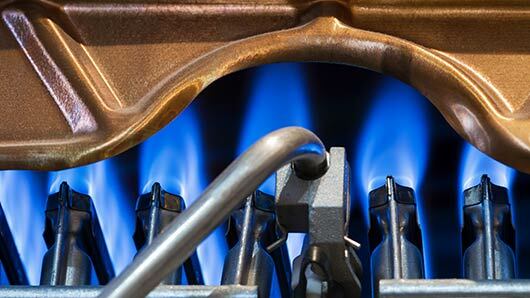 To ensure your boiler stays up and running for years to come, it’s important to ensure it receives regular maintenance. It’s easy to forget to schedule maintenance appointments for your boiler system, but doing so can help prevent serious issues from happening while also ensuring it stays in good condition. This will minimize the potential issues you may face with your boiler system. Boiler Systems from Wisco Supply, Inc. If you’re in need of a new boiler system, give us a call! We’re happy to help businesses throughout the southwest United States and northern Mexico with their boiler needs. Give us a call today!